CLEVELAND – The Cleveland Foundation today announced plans for Cleveland Book Week – a series of events scheduled from Sept. 10 – 16 that celebrate Anisfield-Wolf Book Award winners past and present and showcase Greater Cleveland’s diverse literary and literacy community. 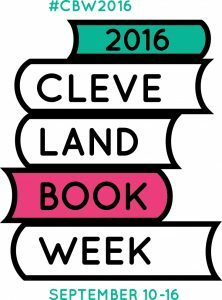 Cleveland Book Week (CBW) is presented in partnership with the Anisfield-Wolf Book Awards, Brews + Prose, The City Club of Cleveland, the Cleveland Flea and Cuyahoga County Public Library. The inaugural effort coincides with the 81st annual Anisfield-Wolf Book Awards ceremony, scheduled this year for Sept. 15. Tyler Village, 3615 Superior Avenue E., Cleveland – 9 a.m.-4 p.m. The Cleveland Flea is a creative business incubator that draws thousands of attendees each month to lesser-known Cleveland neighborhoods. This September, the Flea goes literary in support of Cleveland Book Week. Look for a popup bookshop and literary café, and sample coffee and cocktails while browsing rare books and first editions and mingling with some of Cleveland’s authors. Gather on Cleveland Foundation Centennial Plaza in Public Square for a book swap and afternoon of entertainment in honor of the Anisfield-Wolf Book Awards and the inaugural Cleveland Book Week. Bring a book or find one there, then mingle with other readers and swap books! Books for youth and adults will be available for free from the Anisfield-Wolf Book Awards and the Kids Book Bank until quantities run out. Throughout the Swap, connect with local reading and literacy-focused nonprofit organizations, and peruse your new book while enjoying live music from the Roots of American Music and Cleveland Foundation Uptown Saturday Nights Festival artists SpYder Stompers and Sugar Pie and Eric Seddon’s Hot Club. Mitchell’s Ice Cream will be on the plaza to give away free scoops to the first 500 people who present their library card. If attendees don’t have a library card, Cleveland Public Library and Cuyahoga County Public Library will be registering for new cards on-site. In case of inclement weather, the event will be held on Tuesday, September 13. Maltz Performing Arts Center, Case Western Reserve University – 7:30 p.m. The 2016-2017 William N. Skirball Writers Center Stage Series opens with Don DeLillo, one of America’s most acclaimed writers whose storied career has spanned more than four decades, in conversation with Cuyahoga County librarian Bill Kelly. DeLillo’s novels include White Noise, for which he won the 1985 National Book Award; Libra, Mao II; Underworld and Zero K. The critic Harold Bloom named DeLillo one of four living American literary giants. South Euclid-Lyndhurst Branch, Cuyahoga County Public Library– 4 p.m.
Mary Morris is the author of The Jazz Palace, the 2016 Anisfield-Wolf Book Award winner for Fiction. A Chicago native, Mary spent almost 20 years drafting and revising the novel set in her hometown to accurately capture the dynamic atmosphere and dazzling music of the Jazz Age. Local musicians Jackie Warren, jazz pianist, and Kenny Davis, jazz trumpeter, will perform at this event courtesy of the Cleveland Foundation. Books will be available for purchase and signing courtesy of Mac’s Backs – Books on Coventry. Harkness Chapel, Baker-Nord Center for the Humanities – 4:30 p.m.
Here’s a paradox: black youth are among the most culturally creative and influential groups in America, even as a disproportional number live with racism, poverty, violence, high unemployment, drop-out and incarceration rates. Orlando Patterson, a Harvard University sociologist and recipient of the 2016 Anisfield-Wolf Book Awards Lifetime Achievement Prize, will explore the cultural factors in this paradox. Rita Dove—Pulitzer Prize-winning poet, former Poet Laureate of the United States, Anisfield-Wolf juror and Akron native—is returning home. “An Evening with Rita Dove & Friends” celebrates the publication of Dove’s Collected Poems and the thirtieth anniversary of her Pulitzer-winning volume of poems, Thomas and Beulah. Poet Toi Derricotte, who won an Anisfield-Wolf Book Award for The Black Notebooks in 1998, will introduce her friend to a hometown crowd. Ohio Theatre, Playhouse Square – 6 p.m.
Lillian Faderman, is widely considered a leading scholar on LGBT history. Her most recent book, 2016 Anisfield-Wolf Book Award winner for nonfiction, The Gay Revolution, was praised as “the most comprehensive history to date of America’s gay-rights movement” by The Economist. Join us as she discusses the history of the gay revolution from the 1950s to present day. Escape the confines of Earth and travel to an otherworldly state of mind with 2016 Anisfield-Wolf Book Award recipient Rowan Ricardo Phillips. The author will read from his poetry collection, Heaven, under stars and imagery in Shafran Planetarium. A brief introduction by Museum Astronomer Jason Davis will set the stage for Phillips’ reading. Copies of Heaven will be on sale in the Museum Store, and Phillips will sign autographs before the reading, starting at 3 p.m. Phillips, a translator, critic and poet, splits his time between Barcelona and New York City, and also writes about basketball and soccer for The New Yorker. Beck Center for the Arts – 5 p.m. The New York Times dance critic will parse this rich, uniquely American art form – with music, film and performance. Seibert will present, tap and perform with Beck Center dancers and Chandler Browne, a tapper at Oberlin College. About the Anisfield-Wolf Book Awards: Cleveland poet and philanthropist Edith Anisfield Wolf established the Anisfield-Wolf Book Awards in 1935, in honor of her father, John Anisfield, and husband, Eugene Wolf, to reflect her family’s passion for issues of social justice. Today it remains the only American book prize focusing on works that address racism and diversity. Past winners have presented the extraordinary art and culture of peoples around the world, explored human-rights violations, exposed the effects of racism on children, reflected on growing up biracial, and illuminated the dignity of people as they search for justice. The Cleveland Foundation has administered the Anisfield-Wolf prize since 1963. About Brews + Prose: Brews + Prose at Market Garden Brewery is a monthly literary reading series. Our motto— “Literature is better with beer”—encapsulates our mission to make literature and authors, reading and writing, more accessible and engaging to larger audiences throughout the greater Cleveland area. About The City Club of Cleveland: The City Club of Cleveland is one the nation’s great free speech forums. A product of the Progressive Era, we were founded in 1912 and are the nation’s oldest continuous independent free speech forum, renowned for our tradition of debate and discussion. For more than a hundred years, all of our speakers, from sitting presidents to community activists, have answered unfiltered, unrehearsed questions directly from the audience. Our mission is to inform, connect, and motivate citizens to take action on issues relevant to our region and beyond. About the Cleveland Flea: The Cleveland Flea is a small business incubator that draws thousands of Northeast Ohioans to lesser-known neighborhoods in the city to shop curated vintage, culinary all-stars and the most talented makers in the region. About Cuyahoga County Public Library: At Cuyahoga County Public Library we are committed to our mission of being at the center of community life by creating an environment where reading, lifelong learning and civic engagement thrive and our vision to be the most convenient library system in the country.